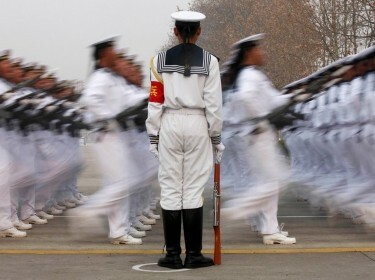 Over the past two decades, China's People's Liberation Army has transformed itself from a large but antiquated force into a capable, modern military. Although China continues to lag the United States in terms of aggregate military hardware and operational skills, it has improved its relative capabilities in many critical areas. To advance the public debate, RAND used open, unclassified sources to compile The U.S.-China Military Scorecard: Forces, Geography, and the Evolving Balance of Power. This comprehensive report examines U.S. and Chinese military capabilities in ten operational areas, and presents a "scorecard" for each. Each scorecard assesses the relative advantage or disadvantage of U.S. and Chinese forces in diverse types of conflict, at varying distances from the Chinese mainland, at different points in time from 1996 to 2017. Advantage means that one side is able to achieve its primary objectives in an operationally relevant time period while the other side would have trouble in doing so. The chart below collects the scorecards for each evaluated operational area. To prevail in either of the scenarios below, China’s offensive goals would require it to hold advantages in nearly all operational categories simultaneously. U.S. defensive goals could be achieved by holding the advantage in only a few areas. Nevertheless, China’s improved performance could raise costs, lengthen the conflict, and increase risks to the United States. Given the importance of airpower in America's recent wars, it is not surprising that China has sought ways of neutralizing U.S. capabilities in this area. Of greatest significance, the PLA has developed ballistic and cruise missiles that threaten forward U.S. air bases. From a handful of conventionally armed ballistic missiles in 1996, China's inventory now numbers roughly 1,400 ballistic missiles and hundreds of cruise missiles. Although most are short-range systems, they include a growing number of intermediate-range ballistic missiles that can reach U.S. bases in Japan. Importantly, accuracy has also improved. Circular error probabilities have decreased from hundreds of meters in the 1990s to as little as five or ten meters today. Weapon ranges have increased from short (less than 1,000 km) to medium (1,000–3,000 km). RAND models of attacks by these ballistic missiles on Kadena Air Base, the closest U.S. air base to the Taiwan Strait, suggest that even a relatively small number of accurate missiles could shut the base to flight operations for critical days at the outset of hostilities, and focused, committed attacks might close a single base for weeks. U.S. countermeasures—such as improved defenses, hardened shelters for aircraft, faster runway repair methods, or the dispersion of aircraft—can potentially mitigate the threat. But barring a major U.S. defensive technological breakthrough, the growing number and variety of Chinese missiles will almost certainly challenge the U.S. ability to operate from forward bases. As a larger proportion of U.S. aircraft are forced to fly from bases that are either susceptible to attack or farther from the scene of conflict, basing issues will pose greater challenges for U.S. efforts to gain air superiority over the battlefield. In virtually any East Asian scenario, U.S. Air Force and U.S. Navy aircraft would play a critical role in blunting Chinese attacks. Since 1996, the United States has improved existing aircraft and introduced so-called fifth-generation aircraft, including the F-22 and F-35. China, meanwhile, has replaced many of its obsolete second-generation aircraft, which made up an overwhelming proportion of its force in 1996, with modern fourth-generation designs. These fourth-generation aircraft now constitute roughly half of the PLA Air Force's fighter inventory. The net effect of these changes has been to narrow, but not close, the qualitative gap between the U.S. and Chinese air forces. To evaluate the impact of this change on the two scenarios considered, we employed tactical and operational air combat models, using the appropriate basing, flight distances, and force structure data. The models evaluate the number of fighter aircraft that the United States would need to maintain in the Western Pacific to defeat a Chinese air campaign. The results suggest that U.S. requirements have increased by several hundred percent since 1996. In the 2017 Taiwan case, U.S. commanders would probably be unable to find the basing required for U.S. forces to prevail in a seven-day campaign. They could relax their time requirement and prevail in a more extended campaign, but this would entail leaving ground and naval forces vulnerable to Chinese air operations for a correspondingly longer period. The Spratly Islands scenario would be easier, requiring roughly half the forces of the Taiwan scenario. U.S. commanders are equally concerned by the development of Chinese air defenses, which would make it more difficult to operate in or near Chinese airspace in the event of a conflict. In 1996, the vast majority of China's 500+ long-range surface-to-air missile (SAM) systems were Chinese duplicates of the obsolete Russian SA-2 missile (with a range of roughly 35 km). By 2010, China had deployed roughly 200 launchers for “double-digit SAMs.” The newer missiles have more sophisticated seekers and ranges of up to 200 km. Combined with more capable fighter aircraft and the addition of new airborne warning and control system–equipped aircraft, the Chinese integrated air defense system (IADS) has become a formidable obstacle. At the same time, however, U.S. air forces have made improvements to their penetration capabilities, with the addition of stealth aircraft and new SEAD (suppression of enemy air defenses) aircraft. We used a target coverage model to evaluate the ability of U.S. strike aircraft to penetrate Chinese defenses in the Taiwan and Spratly scenarios. The results show net gains for China, with its improved IADS reducing the ability of even the improved U.S. forces to penetrate Chinese airspace at moderate risk. Our airspace penetration model shows that although standoff attack capabilities, stealth, and SEAD mitigate the impact of Chinese defenses, the ability to penetrate and strike targets opposite Taiwan with minimal risk to the U.S. aircraft involved declines significantly between 1996 and 2017. However, the U.S. ability to penetrate to targets in the Spratly scenario remains far more robust. This is partly because the same number of critical but scarce U.S. assets (such as standoff weapons and stealth aircraft) can be allocated to attack a much smaller target set, but also because the relevant target set is, on balance, closer to the coast. While penetrating Chinese airspace has become more hazardous, especially in the high-threat environment opposite Taiwan, the development of new generations of precision weapons since 1996 gives the United States new options and greater punch. Virtually all of the iron bombs used by U.S. forces today are equipped with guidance packages, such as the Joint Direct Attack Munition, which have turned them into all-weather, precision weapons. At longer ranges, U.S. forces can utilize an array of stand-off weapons, which are capable of hitting their targets from hundreds of kilometers away and can be deployed from a growing variety of platforms. This larger and more varied inventory of precision and standoff weapons enables U.S. air forces to attack more targets and cause more damage with each attack. To assess the net impact of improvements to both U.S. offensive and Chinese defensive capabilities, we modeled attacks on the 40 Chinese air bases within unrefueled fighter range of Taiwan, and, separately, on the smaller number from which Chinese aircraft could range the Spratly Islands. Runway attack models suggest that, in 1996, U.S. air attacks could close Chinese runways for an average of eight hours. This figure had increased to between two and three days by 2010, and it remained roughly similar through 2017. 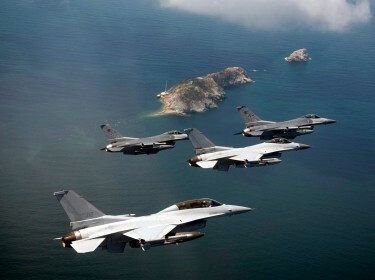 In all four snapshot years, U.S. air forces could effectively close all of China's air bases opposite the Spratly Islands for the first week of operations. While ground attack represents a rare bright spot for relative U.S. performance, it is important to note that the inventory of standoff weapons is finite, and performance in a longer conflict would depend on a wider range of factors. The PLA has placed as much emphasis on putting U.S. aircraft carrier strike groups (CSGs) at risk as it has into efforts to neutralize U.S. ground-based airpower. China has developed a credible and increasingly robust over-the-horizon (OTH) intelligence, surveillance, and reconnaissance (ISR) capability. It launched its first operational military imaging satellites in 2000 and deployed its first OTH skywave radar system in 2007. The skywave system can detect targets and provide a general, though not precise, location out to 2,000 km beyond China's coastline. The development of China's space and electronics sectors has enabled it to increase the pace of satellite launches and deploy a wider range of sophisticated ISR satellites. China's development of anti-ship ballistic missiles—the first of their kind anywhere in the world—presents a new threat dimension for U.S. naval commanders. That said, the kill chain for these missiles will pose great difficulties for the PLA, and the United States will make every effort to develop countermeasures. Anti-ship ballistic missiles therefore may not pose the kind of one-shot, one-kill threat sometimes supposed in the popular media. At the same time, however, the ongoing modernization of Chinese air and, especially, submarine capabilities represents a more certain and challenging threat to CSGs. Between 1996 and 2015, the number of modern diesel submarines in China's inventory rose from two to 41, and all but four of theses boats are armed with cruise missiles (as well as torpedoes). RAND modeling suggests that the effectiveness of the Chinese submarine fleet (as measured by the number of attack opportunities it might achieve against carriers) rose by roughly an order of magnitude between 1996 and 2010, and that it will continue to improve its relative capabilities through 2017. Chinese submarines would present a credible threat to U.S. surface ships in a conflict over Taiwan or the South China Sea. We also assessed Chinese amphibious capabilities and the ability of U.S. submarine, air, and surface forces to sink Chinese amphibious ships. We found that the U.S. ability to destroy Chinese amphibious forces has declined since 1996 but nevertheless remains formidable. China's total amphibious ship capacity is on track to double between 1996 and 2017. China has also deployed larger numbers of more sophisticated anti-submarine warfare helicopters and ships. Largely as a function of the greater number of target ships, RAND modeling suggests that the expected damage that U.S. submarines might inflict has declined since 1996. Even by 2017, however, U.S. submarines alone would be able to destroy almost 40 percent of Chinese amphibious shipping during a seven-day campaign, losses that would likely wreak havoc on the organizational integrity of a landing force. U.S. aircraft and surface ships armed with cruise missiles would likely also participate in anti-surface warfare. The development and deployment of new classes of U.S. anti-ship cruise missiles remained a relatively low priority for some years after the end of the Cold War, and U.S. advances in this area did not keep pace with those elsewhere in the world. Over the past several years, however, the U.S. military has refocused on developing missiles better suited to the high-threat environment. 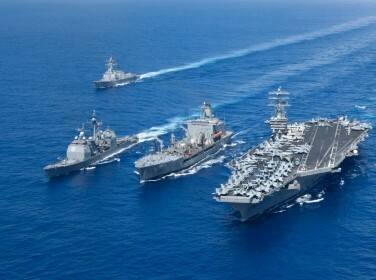 Although U.S. capability against Chinese amphibious forces has declined somewhat, a combination of submarine, air, and surface attacks would nevertheless pose a serious threat to Chinese amphibious forces and their ability to conduct or sustain an amphibious invasion. The United States, with 526 operational satellites, has a far more extensive orbital infrastructure than does China, with 132 satellites (as of January 2015). However, China has been accelerating its space efforts. Its average rate of satellite launches in 2009–2014 was more than double that of 2003-2008, and more than triple that in 1997–2002. The United States has historically been hesitant to deploy operational counterspace capabilities, in part because it fears legitimating such deployments by others and because of its own dependence on space support for other types of military operations. In 2002, however, Washington changed course and approved funding for selective counterspace capabilities. In 2004, the Counter Communications System, designed to jam enemy communication satellites, reached initial operational capability. The U.S. military could also potentially utilize experimental or dual-use systems. Laser ranging stations could provide accurate position data to other counterspace systems. More powerful lasers, such as the High-Energy Laser system, could potentially be used to dazzle Chinese satellites' optical sensors. Finally, the U.S. military could potentially use improved ballistic missile interceptors as kinetic weapons, though practical and political considerations would weigh strongly against such destructive attacks. Overall, although the United States leads in the use of space to support terrestrial operations, its counterspace capabilities remain relatively underdeveloped. China has pursued an extensive range of counterspace capabilities. It demonstrated a kinetic anti-satellite capability in 2007 with a missile test against a nonoperational Chinese weather satellite at an altitude of 850 km. At that altitude, many U.S. satellites in low earth orbit (LEO) would be vulnerable. China has also announced three tests of ballistic missile defense interceptors, the latest in July 2014. These tests apparently took place at similar altitudes to the ASAT test and almost certainly employed technologies that could also be employed in anti-satellite weapons or roles. Ultimately, political considerations, the fear of escalation, and the vulnerability of Chinese systems to debris may deter the PLA from employing kinetic attacks. Arguably more worrisome are the PLA's Russian-made jamming systems and high-powered dual-use radio transmitters, which might be used against U.S. communication and ISR satellites. Like the United States, China operates laser-ranging stations, which might be able to dazzle U.S. satellites or track their orbits to facilitate other forms of attack. In addition to Chinese offensive capabilities, the degree of threat posed to specific U.S. satellite constellations depends on the altitude, number, and orbit of satellites in those constellations and the ability of U.S. systems to maintain functionality in the face of attack. We evaluated threats posed to seven distinct U.S. space-based functions. The degree of threat to most of them is increasing. Threats to communication satellites (which are subject to jamming) and imaging systems (which are small in number, with four in LEO) are particularly severe. In two cases, the U.S. Global Positioning System and missile warning systems, upgrades or improvements to satellite function and numbers may mitigate risk substantially. China's cyber activities have become a major source of concern in the United States and allied countries. There is strong evidence that many of the hostile cyber espionage activities emanating from China are tied to the PLA. 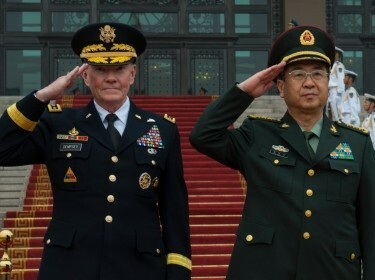 The PLA has maintained organized cyber units since at least the late-1990s, while the U.S. Cyber Command was only formed in 2009. Nevertheless, under wartime conditions, the United States might not fare as poorly in the cyber domain as many assume. Cyber Command works closely with the National Security Agency and can draw heavily on the latter's sophisticated toolkit. Moreover, in evaluating the likely relative impact of cyber attacks, the target user's skills, network management, and general resiliency are at least as important as the attacker's capabilities. In all of these areas, the United States enjoys substantial advantages, though Chinese performance is improving. Chinese cyber security is suspect, and its civilian computers suffer from the world's highest rate of infection by malware. Both sides might nevertheless face significant surprises in the cyber domain during a conflict, and U.S. logistical efforts are particularly vulnerable, since they rely on unclassified networks that are connected to the Internet. The nuclear scorecard evaluates crisis stability in the bilateral nuclear relationship rather than the advantage enjoyed by one side or the other. Specifically, the scorecard examines the survivability of both sides' second-strike capabilities in the face of a first strike by the other. When both sides maintain a survivable second-strike capability, the incentives for both the stronger and weaker parties to strike first diminish and stability is, in that sense, enhanced. The scorecard analysis considers the number, range, and accuracy of both sides' offensive weapons, as well as the number, mobility, and “hardness” of nuclear targets. China has modernized its nuclear forces steadily since 1996, increasing their quantity as well as improving quality. It has improved survivability through the introduction of the road-mobile DF-31 (CSS-9) and DF-31A ICBMs and the Type 094 Jin-class ballistic missile submarine (SSBNs), capable of carrying 12 modern JL-2 sealaunched ballistic missiles (SLBMs) with a range of approximately 7,400 km. In April 2015, the U.S. Department of Defense said that China has added multiple independently targetable reentry vehicles to some of its DF-5 missiles, and China is currently developing next-generation road-mobile ICBMs, SSBNs, and SLBMs. The United States has committed major funding to modernize its nuclear arsenal but, in keeping with both START and New START commitments and in contrast to China, is reducing the number of operationally deployed warheads and strategic delivery systems (Heavy Bombers, ICBMs, SSBNs). Despite additions to the Chinese nuclear force and U.S. reductions, even by 2017, the United States will still enjoy a numerical advantage in warheads of at least 13 to one. A Chinese first strike could not plausibly deny the United States a retaliatory capability in any of the snapshot years considered. For its part, Chinese survivability has improved significantly. Nuclear exchange modeling suggests that, as late as 2003, only a handful of Chinese systems might have survived a U.S. first strike—and even this outcome would have depended largely on China deploying its single, unreliable Xiaclass SSBN (ballistic missile submarine) prior to an attack. In the 2010 and 2017 cases, more Chinese warheads survive, and no foreign leader could contemplate a disarming first-strike against China with any degree of confidence. Although China continues to lag behind the United States in terms of aggregate military hardware and operational skills, it has improved its capabilities relative to those of the U.S. in many critical areas. Moreover, China does not need to catch up fully in order to challenge U.S. ability to conduct effective military operations near the Chinese mainland.